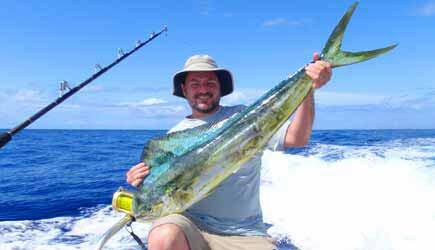 This Mahi-mahi will taste great on the grill! You can share your fish with the crew or take it home to grill it yourself! You are never too young to learn how to fish! Mahimahi, ulua, swordfish, ono - Yummy! Their rates are no more expensive than other fishing charters on Maui, but they are very popular and advanced reservations before arriving on Maui are a must! We recommend that you book at least three weeks in advance. Start Me Up has a great success rate, and part of this is because they leave Lahaina Harbor very early. This enables them to get to the productive fishing buoys ahead of many other boats, which increases productivity. Private charters are limited to 6 passengers per boat … since they have more than one boat they can handle larger parties of 12 or 18 but only if their schedule for the day is completely open. Fishing charters in Hawaii traditionally keep the fish that are caught as a part of the crew compensation, but Start Me Up allows guests to keep as much fish as they would like … with the promise that you will put the fish to good use and not waste it. You may keep the whole fish. They charge a nominal cleaning fee if you’d like them to fillet the fish for you. Gear Provided: Start Me Up supplies all the fishing gear, bait, and expertise that you need. No fishing license is required. They provide a cooler and ice. What to Bring & Wear: Bring food and beverages for the day (no glass containers and no bananas). Reservations: Your reservation is held with your credit card. Start Me Up will charge your credit card the night before your trip. NCL cruise ship passengers in Kahului are able to do Maui Fun Charters on the morning of their second day on Maui, but it requires a rental car with a drive of about an hour. 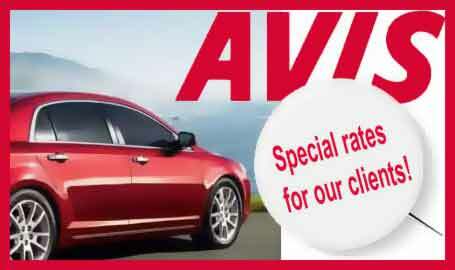 For rental cars with cruise ship shuttle pick-up see our rental car page. Lahaina cruise ship passengers are able to do this tour if your ship is staying overnight; it is then possible on the morning of your second day. No transportation is required as Start Me Up leaves from the same harbor where your Lahaina cruise ship tender arrives. A better fishing option may be in the port of Kona on the Big Island. 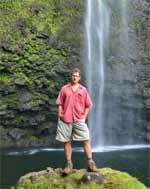 See our Big Island Fishing page. Are you the kind of client that is after the thrill of landing the big one … the fish of a lifetime … the kind of people who spend thousands of dollars to have the fish stuffed and mounted above their fireplace. For this sort of client the best choice on Maui is to go with Start Me Up. Their boats are well maintained and equipped with state of the art fishing gear. Some days are productive, catching a number of mahi mahi in the 20-30 pound range. Other days the action is slow, but they’ll land a big 100 pound ahi tuna or even a world-class marlin. Occasionally they get skunked. This type of charter is for the high roller who wants a shot at the big one, and if they don’t get that big fish they swear they’ll be back another day to get even. The most common question we are asked is “What type of fish are in season during the week I’m in Hawaii?” Most of Hawaii’s game fish are here all year. 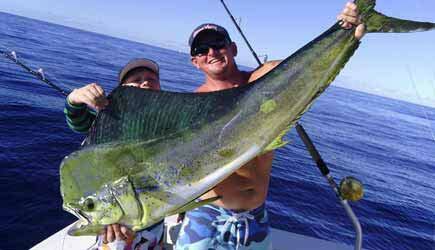 It is very common to catch Ono, Mahi Mahi, Ahi, and Marlin all year round. Bottom fishing yields even more diversity; several types of trevally, a variety of snapper, grouper, baraccuda, and more. Please be aware that bananas are strictly forbidden on fishing boats. Everything about a banana is slippery … everybody’s heard the expression “One foot over the edge and the other on a banana peel.” In time bananas became known as a symbol of bad luck that would even affect your ability to catch fish. The other thing you shouldn’t bring on board … glass bottles. All beverages should be in cans for safety of everyone on board. Occasionally we have clients ask “What are the chances that I will catch fish?” Of course that’s impossible to answer with a certain percentage. sportfishing charters, many factors come into play that make some days excellent and other days average … surface conditions, tides, schooling patterns. There’s also the human element. How lucky are you??? How’s your karma??? Have you been nice to people lately? It’s rare, but occasionally a boat gets skunked … there are no guarantees. Just remember … the sport is called “fishing” and not “catching.” But the crew of your boat will try their very hardest … they are professionals who know what they are doing. When you go to a restaurant in Hawaii and see a wide variety of fresh fish on the menu, just remember that SOMEONE caught those fish … might as well get out there and let it be YOU!